MobiArm gives you a flexible solution for ergonomic lifting. 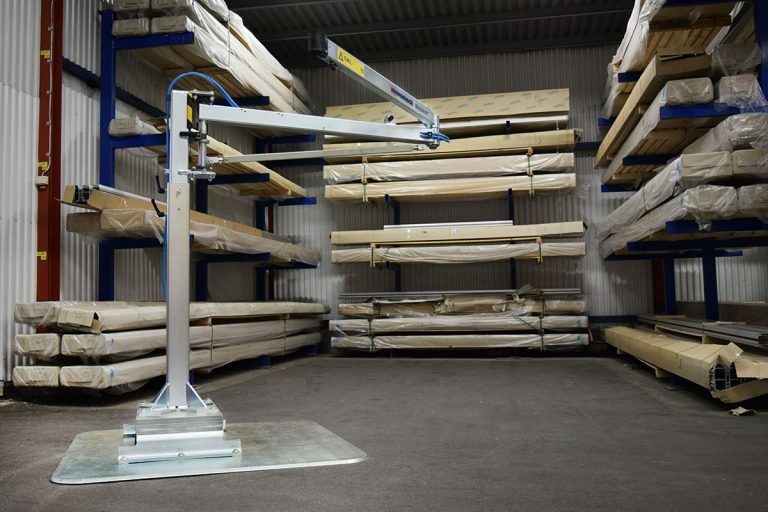 MobilArm™ is an ergonomic articulated jib crane that can be adapted to each individual workplace, with a reach of up to 4 meters, and a height-adjustable floor pillar. MobiArm’s flexible design is combined with the lifting device of your choice! 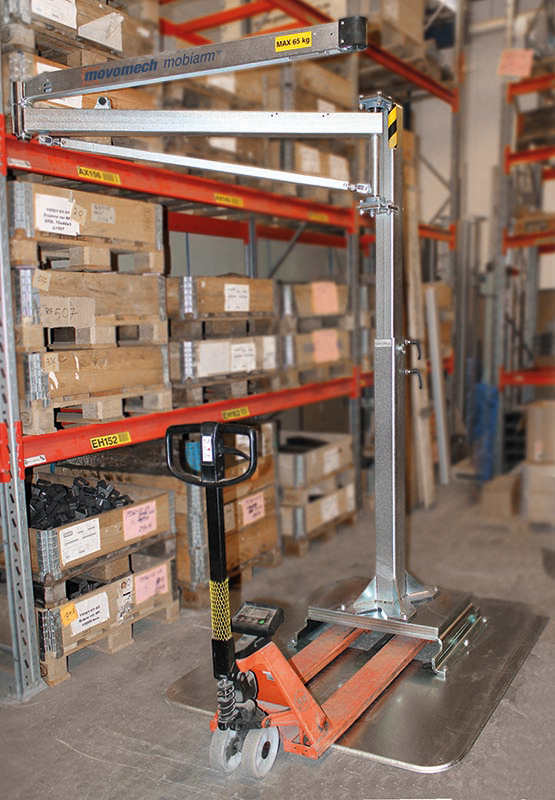 Add a mobile platform and you can easily move MobiArm between different workstations – a simple manual pallet truck will suffice! MobiArm is equipped with an articulated jib arm with lengths between 2 and 4 meters. The arm rotation uses low-friction ball-bearings making it very smooth and easy to use. The adjustable tower can easily be adjusted to the desired height, which is an advantage at workstations where the equipment needs to be adapted after different handling operations. As extras there are for example standard kits for electric or pneumatic media supply as well as a drift/parking brake.